Linguistic Acronyms: What in the World are MINT, FIGS & BRICS? If we were to ask you what you understood by the terms MINT, FIGS & BRICS, you’d probably rightly say the first is a plant used to flavour all sorts of foods and drinks; the second is a fruit famed for keeping you regular; and the last is a misspelling of a common building material; and of course, you’d be right. But the capital letters change all that. If you’re a Robert Peston fan or regularly listen to news bulletins on Radio 4, you’ll know that all three acronyms are used to describe countries that have been grouped together for economic reasons. Why are these groupings used? The countries have been grouped together in this way to account for their similar level of economic development. The FIGS countries are ripe for the picking (pardon the pun), because their economies are well developed, despite a couple of recent hiccups in Italy and Spain. 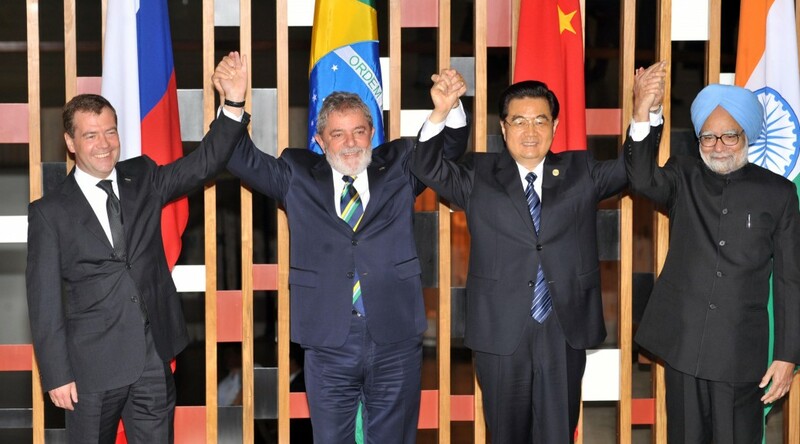 The BRICS countries are the rising stars and the world’s major emerging markets. They were grouped together by economist Jim O’Neil in 2001, with South Africa added to the list in 2010. O’Neil predicted these five countries would overtake the six largest western economies in terms of their economic power by 2041. He later revised this prediction down to 2032. The MINT countries are full of economic potential. They cannot yet be classed in the same bracket as BRICS, but they are beginning to play a more influential role in economics and geo-economics, and turn their previously struggling economies around. They are BRICS countries in the making. Why is this relevant to linguistics? When it comes to expanding into foreign markets, businesses will consider those markets where the potential for sales is strong, and where the necessary framework is in place to encourage business growth and economic development. For UK businesses looking to expand into a major European market, the FIGS countries are recognised as the most popular languages for the localisation of business assets like websites, online content and offline marketing materials. Why? Because these four countries represent the strongest European markets with the greatest potential for success. Of course, if a business was not based in the UK, Britain would also be added to this list. The BRICS countries account for around 40 percent of the population, so the opportunities for UK businesses are huge. There is also a growing middle class in these countries, meaning more people with disposable income to spend. Expanding into a BRICS country will be risker than a FIGS country due to the significant cultural differences, but get it right and the potential rewards for British businesses are enormous. That is why an increasing number of business are localising their message for a BRICS audience. The MINT countries represent a riskier proposition still, but again, the rewards could well be worth it. The boom years for BRICS countries have been and gone while the MINT countries are still in the early stages of their economic development, so establishing your business now could lead to great things in the future. The only barrier preventing UK online businesses from entering into these potentially lucrative markets is language. At Linguistica International, our mother tongue translation, transcreation and telephone interpreting experts can kick start your international growth plans with language services that speak directly to your target market. For more information, please get in touch with our team today. What are your Business Translation Options? What are the Implications of Brexit for Cross-Border E-commerce?